Hazardous trees or dangerous trees are sometimes difficult to spot, but these trees are given this name because they can do damage to houses, garages, cars, and anything surrounding them. They become particularly dangerous during this time of year because of the increased likelihood of storms and heavy rains that can soften the ground around their root systems, and high winds that can break off damaged limbs or push the entire tree over. Damage to your home or garage from hazardous trees is often preventable. 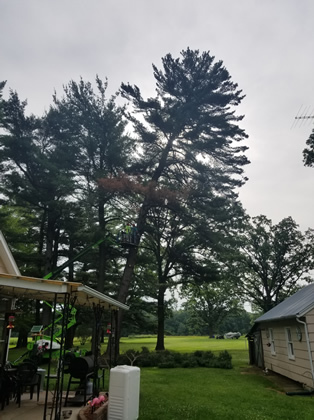 Pioneer Tree Service has the expertise in spotting potentially dangerous trees, and the specialized tree removal equipment that allows for the safe removal of these hazards. Pioneer Tree Service can identify potentially hazardous trees in your yard. Proper equipment is often needed to safely remove hazardous trees. 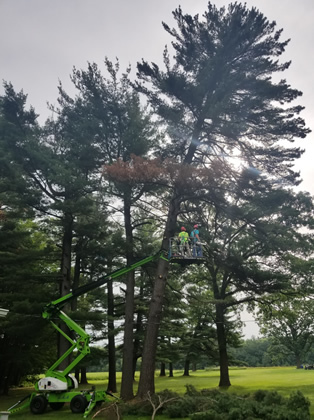 With an A+ Rating with the Better Business Bureau and over 30 years of experience with hazardous tree removal, Pioneer Tree Service is the tree service company to call if you have a hazardous tree that needs to be removed on your Princeton or Cambridge property. 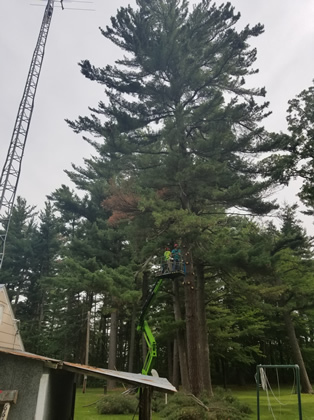 Pioneer Tree Service provides tree removal services to Anoka, Sherburne and Mille Lacs counties. Call (763) 238-5254 to schedule an appointment today, or fill out the tree service appointment request form on this page.